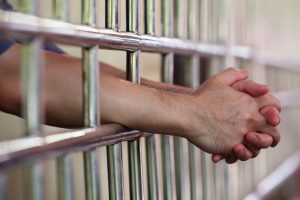 Without making any assumptions in regards to your innocence, if you are facing aggravated assault charges in South Carolina, you could be in a great deal of trouble with the law. Considered more serious than simple assault, an aggravated assault conviction could land you in jail for a very long time and preclude you from future employment and housing opportunities, as well as other rights enjoyed by the general public. If you have been accused of committing aggravated assault, it is crucial you call our office right away. An action is considered “assault and battery of a high and aggravated nature” if the victim sustains, or could have likely sustained, great bodily harm. Great bodily harm is defined as permanent disfigurement, life-threatening injuries, or death. Assaults that occur with the use of dangerous weapons, such as guns, knives, or a car, are always classified as aggravated because a reasonable person can ascertain that injuring someone with any such item or equipment is likely to cause a great deal of damage to the victim. Aggravated assaults are tried as felonies with the potential of jail sentences of up to 20 years. Furthermore, people convicted of violent felonies are barred from ever owning a firearm in the future, and are not allowed to vote while incarcerated, on parole, and during probation. It is our job as your legal team to attempt to have your charges reduced or dismissed and we will do everything in our power to do so. Our office is free of judgment and you will be respected by everyone on our staff. We are committed to justice and will ensure you receive a fair and legal trial. You are in good hands at Ronald S. Clement Attorney At Law. Ronald S. Clement Attorney At Law defends the rights of those accused of committing aggravated assault in the Upstate region. Contact our Greenville office today at (864) 233-6225 if you are in need of effective and aggressive criminal defense.